For a period of more than 50 years now, Cannon has been creating quality gun safes on the market. Cannon gun safe come with a range of unique features and different sizes. And if you are looking for a well established brand of gun safes in the market to buy from, then cannon will serve you best. They are well-known for constructing large gun safes with enough space to store various valuable items besides guns. This is why cannon boast of being one of the top firms in the industry for creating gun safes. Year after year, Cannon has improved its products to make sure they meet the ever changing demands of its customers. 1 Why Cannon is the best Safe? Why Cannon is the best Safe? There are several brands of gun safes in the market today. This is why some people find it a hard task to choose the gun safe of their choice. But with cannon, you can be ascertained to get the best as it has proven over the years. For this reason, we’ve underlined some few features that place cannon way above other gun safes on the market. 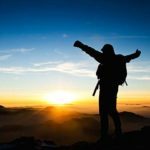 Before we discuss about the top cannon safes on the market, here are the features that make cannon to be outstanding among other gun safes. The Cannon fire rating is of great quality. Unlike other gun safes, Cannon tests its safes and ensures that they meet 1200 degrees and maintains that temperature for a long while. Such trials ascertain that your gun safe from cannon can withstand any adverse fire situation. It also guarantees the safety of your firearms and valuables in the cabinet. The body of all cannon safe is made of triple hard plates. These are layers of very hardened steel which as well protects the locking system on your gun safe. It ensures that a burglar or thief cannot break into your guns safe easily. Thus, they offer maximum security to your valuables and guns. Many gun safes have bolts with anti-pry tabs. But Cannon has longer bolts with anti-pry tabs, which as well provide the extra security of the safe. The bolt sizes are not the same as those found in other gun safes as they are a bit longer and more secure. Cannon gun safes are able to power and connect to your electronic device from outside the safe. This feature is unavailable in most of the other gun safes in the industry. This means that you don’t rely heavily on the battery and if it runs out, you have other choices. To add to its backup plan, the cannon has a manual combination for accessing the gun safe in case the electronic one fails to operate. The great cannon brand offers its loyal customers a wide range of gun safes to select from. These include the commander series, cannon series, armory series, patriot series and scout series. They all have similar features which differ slightly in accordance with their sizes. As well, their prices are different, but they still offer great protection and storage to their users. Finally, one of the best features that cannon offers to its clients is the lifetime warranty. 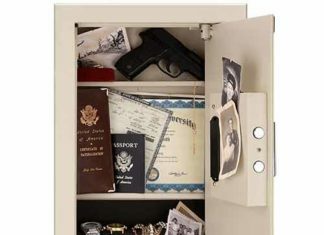 Many brands or manufacturers of gun safes offer a warranty of up to 3 years. But for cannon, you can be assured to always receive great assistance from its center the moment you purchase one of their gun safes. Although, it is better to call their support and ask your equerries before placing order. Warranty details information also available on their official site. The list below represents the best cannon gun safe that we recommend you to check out before buying any other safe. They have all the cannon basic features, are top quality and come at a very reasonable price compared to their features. When it comes to an office fast access safe, the Cannon safe OS8 H11 series is very desirable. It is compact and offers great security as it is made of steel which is hard to crash. The gun safe is suitable for small and secret places. With a 75 minute fire protection, you can be assured of the protection of your valuables in the safe. It has 3 to 4 inches long locking bolts and anti-pry tabs. Besides being very secure, it comes with a backup in the form of a power supply with media outlets. These include; 2 USB ports and two 110v outlets. Other key features are high grade upholstery, RJ45 Ethernet, and adjustable shelving that can be customized. This is a very amazing cannon safe that comes at a very great price but offers top security. It is easy to customize as it comes with several adjustable shelves for placing your firearms and other valuables. The gun safe is very safe as it is constructed from pure steel and its lock is secured with a triple 60 plus RC steel hard plate that can’t be broken with simple tools. It has a 60 minute fire protection capability which means your valuables will be safe for that duration in case of a fire outbreak. It as well comes with backup outlets which are two USB ports and two 110v outlets. Additional features are a door organizer kit, high grade upholstery interior and RJ45 Ethernet. This cannon HS3824-H9TEC-13 safe is suitable for home use. It can be easily customized with its adjustable shelving and has a 180 degree opening door. In addition, it comes with 4 to 8 inches locking bolts and anti-pry tabs that offer added security. The body is made of steel and it has double steel composite doors for assuring protection of the valuables. It can protect your guns and other valuables for 60 minutes just in case there is a fire. When you purchase this gun safe, you not only receive a lifetime warranty, but as well a backup in the form of power and media outlets. This is one of the top rated cannon safe on the market. The home suitable series can be customized as it comes with drawers which can be re-arranged to your preference. Furthermore, it comes with a power supply with media outlets which act as a backup in case the batteries runs out. These are two 110v outlets and a two port USB. With a high fire rating, the safe can secure your valuables for 60 minutes in the presence of fire. The interior is of a high quality and the safe is made of pure steel which is hard to crack. Our last highly rated cannon safe is the Cannon safe A10O H2FDC 15 Armory safe. Not only is it the largest in the Cannon family, but as well offers great protection to its contents. It comes with a big gun storage capacity of at least 100 guns. Furthermore, it has the ability to secure your valuables up to 45 minutes in case of fire. For better security, the Cannon 100 consists of a high security UI EMP lock secured with a triple 60 plus RC steel hard plate. Similar to other cannon gun safes, you receive a lifetime warranty on purchasing it. To conclude, Cannon gun safes are one of the top in the market. Despite having a long history that dates back to more than 40 years of production, they have continued to produce quality gun safes. Features like longer locking bolts, large capacity, power supply and a lifetime warranty makes them unique. That’s why they are highly rated and purchased by many. I hope you have gotten your answer after reading this Cannon Gun Safe. You can comment below for more information.